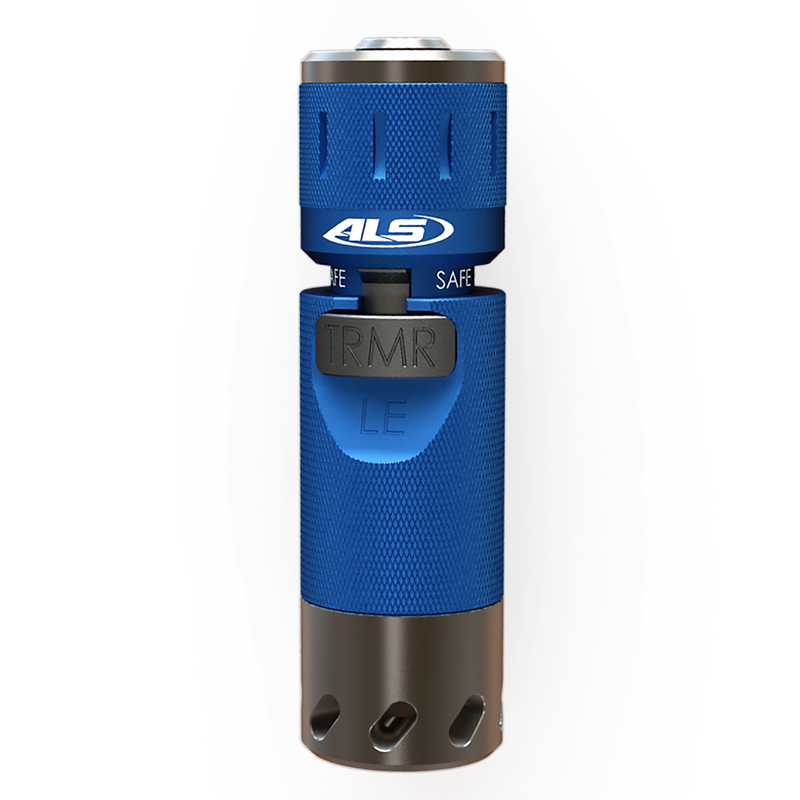 The TRMR-LE Training Device is a reloadable training diversionary device body that can be reloaded up to 250 times with the ALS1208 12ga Bore Thunder cartridge. The body incorporates a safety button that must be engaged to twist the top section to arm, which functions similar to a standard firearm safety. Upon deployment, the device’s kinetic energy causes the wobble top to move, forcing the firing pin into the primer to function the shell. The base is then removed to expel the spent shell, reloaded with a new shell and reassembled for next use. The ALS1208 produces approximately 172 dB and 1.2 PSI at 5 feet with a flash.